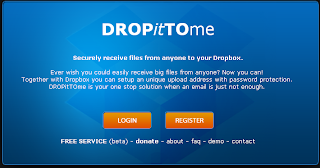 DROPitTOme is a great resource I learned about from Free Technology for Teachers (Richard Byrne). Richard and I had both lamented over the loss of Drop.io since we both used it to collect electronic versions of student work. Richard found DROPitTOme and I was finally able to try it out. It works great. It links to your Dropbox account and allows you to have people submit a file to your Dropbox account without being able to see anything else in the account. Dropbox has free accounts available with 2GB of memory. That should be more than enough for most teachers to use for collecting student work. You don't have to keep the work there that long since you could download the files later. 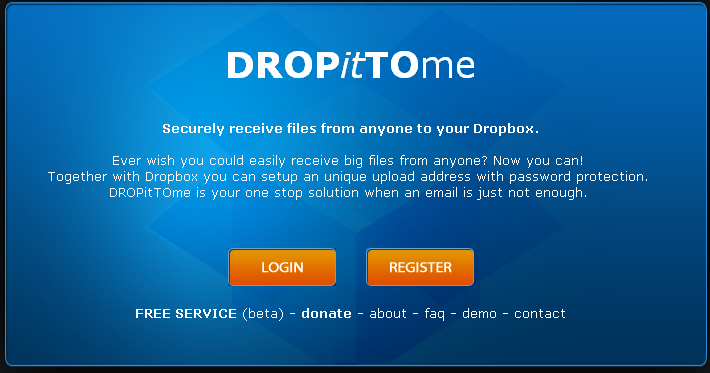 DROPitTOme is a great replacement for Drop.io and very easy to use and set up. Why waste paper? Have you students submit their work electronically. You can even comment/markup/grade it and then email it to them or send it to their Dropbox folder.